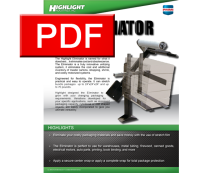 Eliminates the cost and additional inventory of master cartons, strapping, shrink, and costly motorized systems. That's how it's earned its name - Eliminator. 24x24x24 inches and weighing up to 70 pounds. The Eliminator Wood Bundlerr incorporates the same frame as The Eliminator. 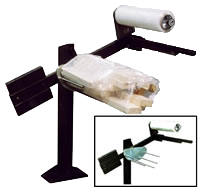 It helps bundle wood products, and is particularly suited for split wood.